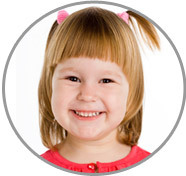 Choosing the best Fairfax County Personal Assitant for your family is just a phone call away at ABC Nanny Source! Ria loves being a Fairfax County Personal Assistant and having the opportunity to lend a family the extra hand they need in caring for their children. "I simply love caring for children. I’m an upbeat, positive, respectful and reliable caregiver. I say ‘yes’ to anything a parents asks me to do regarding their children’s care. If I was asked to describe in one sentence the reason I have chosen to be in the Nanny profession over any other it would have to be because I love children, and love helping others. I know how hard it is to find someone trustworthy and reliable to care for children, but I foster both of those qualities. I have been serving in some form of childcare experience for over 6 years and can honestly say I LOVE what I do! I feel that children are special, fun, innocent, caring, and loving people. My goal as a Fairfax County Personal Assistant is to provide exceptional childcare to a family that needs a helping hand. I am willing to do housekeeping that includes tidying up the home from toys, cooking meals for the children, and cleaning the kitchen after each meal. If I had to describe myself in five adjectives I would say that I am fun, loving, happy, reliable, and trustworthy. Activities that I would like to incorporate in the daily plan for the family I care for would include reading, preparing meals, children’s laundry, going to the park, visiting the library, and getting fresh air. Playing games that are both educational and fun, swimming, and going on picnics. If asked to describe the perfect family seeking a Nanny like me I would hope they would be kind, trustworthy, loving, and understanding." "In Ria’s position, she was responsible for the daily operations which included overseeing 110 children, ensuring correct ratios of professional staff, interacting and creating an open line of communication with families, and communicating facility policy. Ria worked diligently and in a dedicated fashion. She has a professional appearance and attitude. Her resume shows a lifetime of childcare experience and education. I highly recommend her for a Fairfax County Personal Assistant position that includes childcare." "Ria meets, if not exceeds, the requirements of her job description without fail on a daily basis. She was a very child centered individual who always worked with the best interest of children in the forefront of her thoughts and actions. She is professional, intelligent, and organized. She would make a wonderful addition for someone who needs assistance that involves the care of children." "I have had the pleasure of knowing Ria for over ten years. During this time, I have known her to be an intelligent, capable, dedicated, personable young woman. She has always been involved with children in one way or another! Ria is always quick on her feet, with sensible reactions to any circumstances. I feel confident in saying that she is capable of handling any situation with thoughtfulness and maturity. She would be a tremendous asset to you as a Nanny and I recommend her to you without reservation!" "Ria is a very good friend of mine! She has a good personality and is kind towards everyone. She is fun to be with, considerate, clean, careful, detail oriented and extremely organized! I highly recommend her for a Fairfax County Personal Assistant position!"